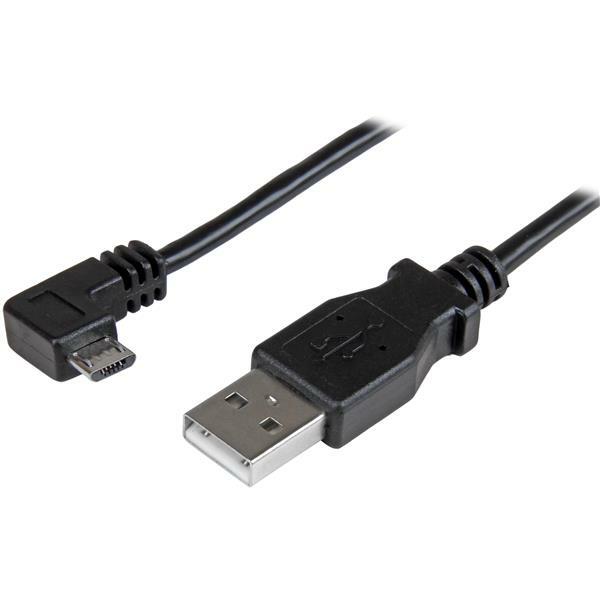 This Micro-USB cable features 24 AWG wire to provide the full power you need to charge your mobile devices faster. 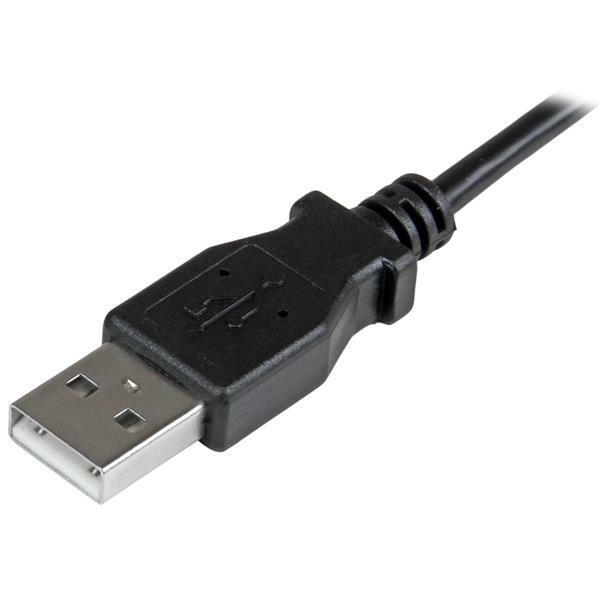 Plus, the right-angled Micro-USB connector is great for charging your mobile devices in a car, or for accessing your mobile device while it’s connected to a wall charger or computer. Different phones and tablets require specific amounts of power to charge efficiently. While a phone may only require 1.0A of power, a tablet may need 2.4A. This Micro-USB cable is designed to deliver full power to your mobile devices so that all of your devices can charge at the expected speed. The right-angled Micro-USB connector lets you connect to ports that are difficult to reach, which is perfect for charging your car-mounted mobile devices. Even while you’re charging your mobile device, you can use it to text, work or game, without the cable getting in the way. 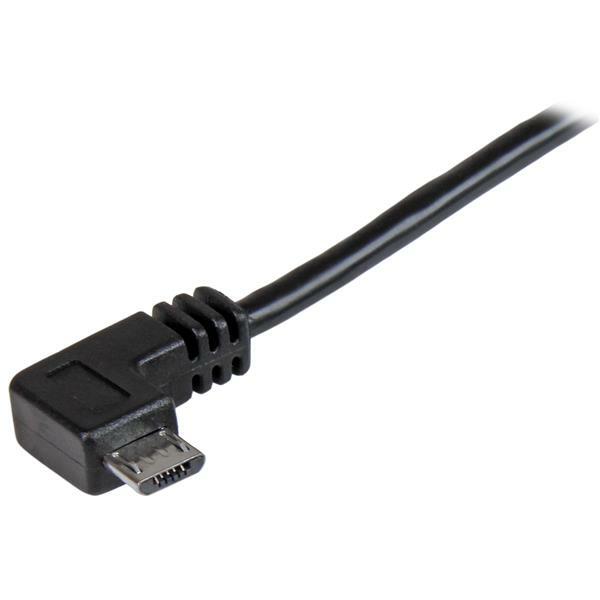 The angled connector also prevents the cable from bending awkwardly or from straining too much to make a connection. It offers a more natural fit at the connection point, preventing unnecessary stress and damage to the cable and device port. Charge your USB 2.0 Micro B-equipped phones and tablets with full charging power, with no increase in charge time -- even at a distance of 6 feet (2 meters) away from your charger. The long cable overcomes distance restrictions and lets you stay connected even while you're taking notes in a boardroom, catching up on emails in a hotel room, or reading in a coffee shop. The USBAUB2MRA 2-meter cable is backed by StarTech.com’s lifetime warranty for guaranteed reliability.